We took a break today from trauma (me) and recovery and step work (him), to just live our lives like we used to. I made a promise to myself that I would have a great day and I was determined to keep that promise. Three years ago, Blue Eyes and I started a tradition of brewing and bottling our own hard cider. It was his dream and I am going along for the ride. We use the apples from trees in our backyard. We have two varieties. We pick up a third variety at a local farm. Last year for Blue Eyes’ birthday I purchased him an old-fashioned cider press. 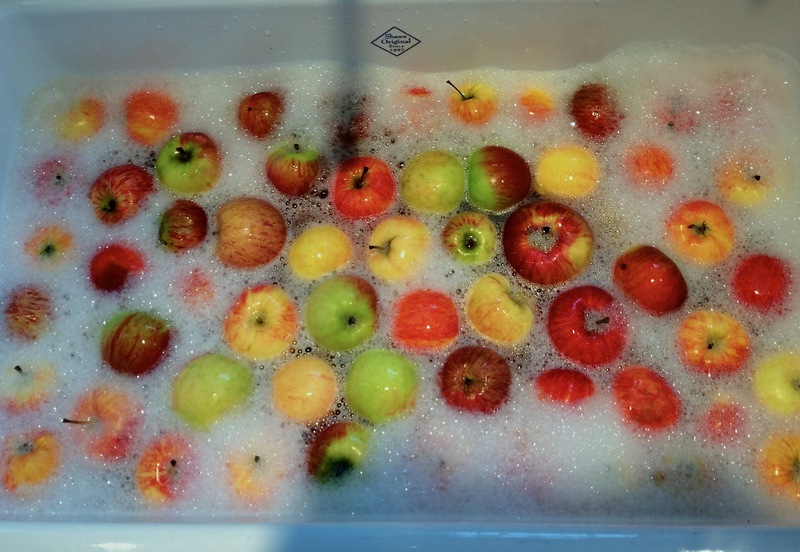 Pressing our own apple cider is a long and strenuous, but rewarding, process. We started this season’s hard cider process late last Fall by pressing a few bushels of apples that had been drying in our apple cellar. Earlier this year we racked the cider into carboys where it continued fermenting and aging. Today was bottling day. Our younger son, I am going to call him The Peacemaker, helped us with bottling. It was a fun family activity and The Peacemaker turns 21 this year, so he will be able to legally drink the product of his labor. We produced 164 bottles of hard apple cider today, a record for us. Now it sits in cold storage. It is drinkable now, but gets better with a little more aging in the bottle. A hard apple cider a day, keeps the trauma away. Well, not really, but it worked today.